What on earth is diatomaceous earth (DE)? Well, it’s a natural product formed by the fossilized remains of diatoms, which are tiny aquatic organisms, or the oceanic algae. Usually available in the form of a white powder, diatomaceous earth is used in most products around us and holds many benefits. Scroll down to find out what they are. What Is Diatomaceous Earth? How Does It Work? 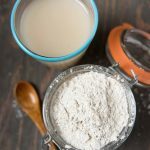 What Are The Other Uses Of Diatomaceous Earth? Does Using Diatomaceous Earth Have Any Environmental Concerns? As you read earlier, diatomaceous earth is naturally occurring sand and contains microscopic algae. There are two types of diatomaceous earth, which are food grade, which is fit for human consumption, and filter grade, which is toxic to humans but has several industrial purposes. The diatoms found in diatomaceous earth are primarily composed of silica. Simply put, DE is just the concentrated form of silica. Thanks to its natural detoxifying and liver-cleansing properties, DE has been used in household and food products for several decades now. Research touts diatomaceous earth as one of the least expensive and most versatile health products in the market today (1). But aside from the way it works, let’s look at what it can do for you. Food grade diatomaceous earth kills the parasites within the body that might otherwise contribute to illness. It also helps maintain clean blood, which is where the silica in it comes into the picture. Research has shown that silica works similar to antioxidants found in certain power foods (2). The mineral is broken down into a colloidal form in the bloodstream and fights free radicals. Consuming diatomaceous earth cleanses the digestive tract and curbs gas, in addition to boosting liver health. Studies also show how silica can aid heavy metal detox. Taking it can reduce aluminum concentrations in the gastrointestinal tract (3). There is not much research on the weight loss benefits of DE, but one logical reason it might indirectly aid weight loss is its detoxifying ability. DE cleans out the junk in your body, which could aid weight loss. Studies have shown how dietary silicon is essential for preserving the health of the bones, connective tissues, and joints, the deterioration of which can lead to arthritis. The silica in DE helps with bone metabolism and the formation of joints, which are processes that help prevent osteoporosis (4). One theory also suggests that silicon promotes collagen synthesis and plays a crucial role in the mineralization of bones (5). One Austrian study talks about how DE is capable of lowering blood cholesterol levels (4). There are other studies with similar findings, but it is important to note that most of them are outdated. Hence, do consult your doctor before using diatomaceous earth for lowering cholesterol. DE’s natural ability to kill parasites makes it a good addition to toothpastes and skin exfoliators and scrubs. It works similar to bentonite clay – by drying out the toxins in the skin, making it smooth and supple. And the silica it contains contributes to the health of the nails and teeth. More interestingly, DE also helps with the use of calcium and contributes to stronger nails and teeth (6). Candida is one of the most common fungal infections, and it can be quite troubling. Anecdotal evidence suggests that diatomaceous earth may help flush the fungus out of the body. We need more research here, though. You can simply take one teaspoon of diatomaceous earth powder once in the morning, and once in the evening. You can add it to any liquid before consuming. This treatment can also help treat scabies. You can add DE to your bath and soak yourself in it. 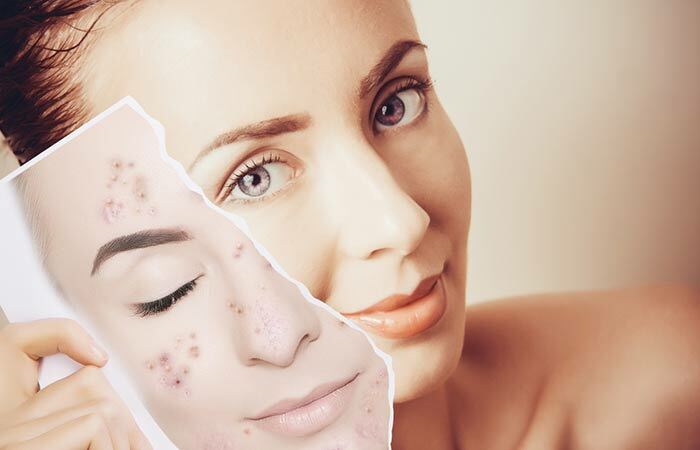 The exfoliating properties of diatomaceous earth can help treat acne and acne scars. The silica in it is known to boost skin health (5). And when you use DE topically, the benefits, as per various accounts, are tremendous. To make this skin treatment, you just need to mix one teaspoon of DE with a few drops of water. Make a paste and apply it to your face. Leave it on for about 15 minutes before rinsing your face with lukewarm water. Repeat once daily. Certain reports suggest that silica can stimulate hair growth (5). In fact, it has been used in treatments to prevent balding. This is primarily because 90% of our hair is made of silica. Taking one teaspoon of diatomaceous earth every day can give you strong and healthy hair. Diatomaceous earth punctures the exoskeleton of lice and kills them. In fact, it is often considered a safe and effective treatment for head lice. We, however, need more research in this regard. Do consult your doctor. For this lice treatment, you can mix a teaspoon of diatomaceous earth with some tea tree oil. Massage the mixture into your scalp. Since DE can create dust, so be sure you cover your nose and mouth with a mask. Leave the mixture on your hair overnight and wash your hair as usual in the morning. You can also use a lice comb to remove any leftover nits or eggs. Repeat the process for two to three days. These are the many ways diatomaceous earth can be beneficial for you and your family. But how can you use it? Is there a procedure to follow? 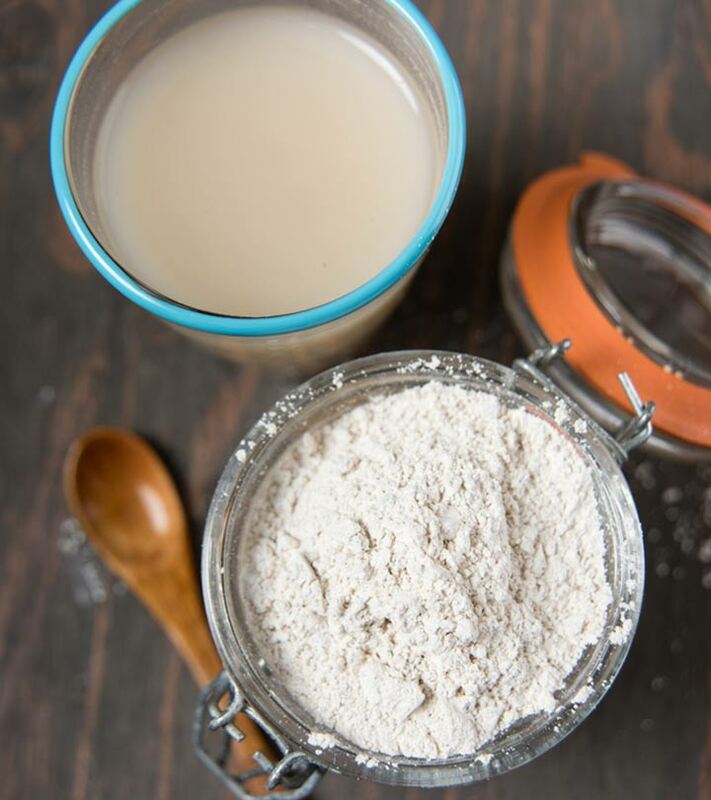 Mix a teaspoon of diatomaceous earth with water and take it once a day. It works best if taken on an empty stomach, about 1 or 2 hours before or after eating. Additionally, you can take one extra cup of water after each dose of DE to make it more effective. Ensure you are very much hydrated, more so when you are taking DE. Slowly increase your dosage over the course of several weeks. Work your way up from one teaspoon to two teaspoons, all the way up to a maximum of one tablespoon. You can split the dosage into two – one in the morning and the other at night. Take DE at an interval of 10 days, for 90 days. This makes the detox all the more effective. For driving away insects and bugs, you can sprinkle the DE powder wherever needed across your house. This could be under the carpets, in the yard, etc. You can also rub the powder with a broom. Ensure that you don’t add too much of the powder, though, since it can make breathing difficult if inhaled. Allow the powder to sit for about 6 to 12 hours, after which you can vacuum it up. Repeat the process once a week for about 4 weeks for optimal results. You can also use DE to purify water at your home. This is because of its chemical composition, thanks to which DE can be used as an amazing filtration aid. It can filter fine particles that otherwise pass through filter papers. All good. But does diatomaceous earth harm the environment? What about that? No. None at all. Research shows diatomaceous earth is not toxic to mammals or aquatic animals (7). 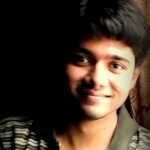 It is naturally encountered by birds and other animals and doesn’t seem to harm any. In fact, seawater contains abundant diatomaceous earth as it is replete with silica. Even the skeletons of several forms of sea life are predominantly made of silica. Talking about plants, diatomaceous earth is a natural soil additive. It helps the soil retain the essential nutrients for plant growth. Before we conclude, we would like to run you through certain precautions. Here you go. There is not enough research on this. Hence, stay safe and avoid use. Breathing in large amounts of diatomaceous earth can cause lung problems. These include asthma, chronic obstructive pulmonary disease, and in severe cases, even lung cancer. The effects can be more pronounced in individuals already dealing with lung problems, so take care. Nature works in miraculous ways. And when it does, it is our responsibility to make use of it and spread the wellness. Start using diatomaceous earth today. And more importantly, share the benefits with your friends and family. Also, tell us what you liked about this post. We love to hear from you. Cheers! “Health benefits of diatomaceous earth”. DiatomaceousEarth.com. “Influence of silica nanoparticles…”. US National Library of Medicine. “Oligomeric but not…”. US National Library of Medicine. “Silicon and bone health”. US National Library of Medicine. “Use of silicon for skin and hair…”. US National Library of Medicine. “Biological and therapeutic…”. US National Library of Medicine. “Diatomaceous earth”. National Pesticide Information Center.